Ronald C. Sharp practices in the areas of arbitration and mediation, business, taxation, estate planning and administration, commercial and healthcare transactions, business workouts and the unique issues related to family owned businesses, legal and otherwise, including the succession of family owned businesses from one generation to another. He is on the national panel of the American Arbitration Association. He has represented clients involved in simple to complex business, tax, healthcare and financial transactions; the sale or purchase of businesses; international and commercial transactions; antitrust issues; tax-free reorganizations; and business restructuring and dissolution. He also represents many nonprofit organizations. 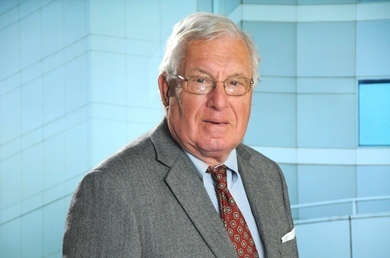 Ron is a skilled negotiator and since 1976 serves as a mediator and an arbitrator for the American Arbitration Association in complex commercial, securities, tax, contract and health care disputes. He has been a lecturer for more than 20 years on business and tax subjects for the Connecticut Bar Review and frequently lectures on these subjects to professional and trade groups.